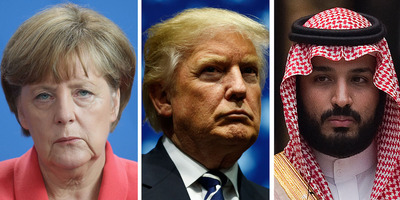 GettyGerman Chancellor Angela Merkel said she supported suspending arms exports to Saudi Arabia in light of journalist Jamal Khashoggi’s death – a move composite image of German Chancellor Angela Merkel, US President Donald Trump, and Saudi Crown Prince Mohammed bin Salman. 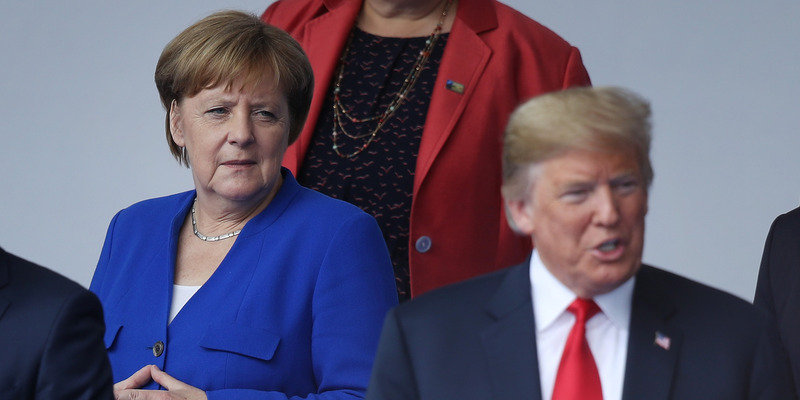 German Chancellor Angela Merkel signalled that Germany will suspend arms exports to Saudi Arabia following the kingdom’s admission to the death of Saudi journalist Jamal Khoshoggi – a step to punish Riyadh that Trump has repeatedly said he won’t go near. Sean Gallup/Getty ImagesGerman Chancellor Angela Merkel and President Donald Trump at the NATO Summit in July 2018 in Brussels. Trump heralded Saudi Arabia’s purchase of $US110 billion worth of US arms in 2017, though experts say that figure is inflated and some parts of the deal appear to still be up in the air. Steffen Kugler/Bundesregierung-Pool via Getty ImagesChancellor Angela Merkel talks to German soldiers in Afghanistan in 2010.